A new tax law has now been passed. For many, this will make 2017 an important year to make increased charitable gifts. We are encouraging people to check with their tax advisers to see if this would apply to them. In 2018, the standard deduction will be almost doubling to $24,000 for a married couple and $12,000 for an individual. As a result, millions more Americans will no longer be itemizing their deductions and may not be able to get an extra tax deduction for charitable gifts. If you itemize deductions in 2017, but probably will not in 2018, then it may be to your benefit to increase your charitable gifts this year in order to be able to take full advantage of a deduction for these donations. In addition, even individuals who still will be itemizing in 2018 might want to look at accelerating charitable gifts in 2017. Many people will be taxed at a lower rate in 2018 than 2017, so accelerating charitable gifts into 2017 — the higher tax year — might make sense. A Birmingham Jewish Foundation Donor Advised Fund is a great vehicle for that increased giving. You can open a fund this year or add to an existing one and, over the next few years, make recommendations as to grants. These grants can go not only to our local Jewish community agencies, synagogues and organizations, but also nationally to organizations such as Hillel or the Anti-Defamation League. In addition, you can make recommendations to general community organizations such as United Way, the American Cancer Society or the Birmingham Civil Rights Institute. Writing a check before the end of this year is not the only way to make a gift. With the stock market at an all-time high, appreciated stock held for more than a year may be a great asset to donate. For most people, if you sell the stock, you have to pay tax on the gain. However, if you gift it to a charity, you can take a deduction for the full fair market value. According to IRS guidelines, all stock gifts must be in the Foundation’s account by Dec. 29, which is the last day of business, in order to receive a 2017 deduction and checks must be postmarked by Dec. 30, the last mail day. Be sure to check with your own advisers to see if increasing charitable donations in 2017 or donating stock would make sense for you. For more information on contributing stock, opening or adding to Donor Advised Funds or to contributing to another Birmingham Jewish Foundation Fund, contact Birmingham Jewish Foundation Executive Director Sally Friedman at sallyf@www.bjf.org or 205.803.1519. 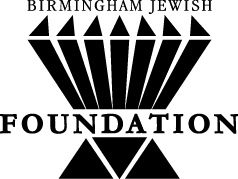 Click for more on the Birmingham Jewish Foundation.